Experience life without worries in 30 days. The book, “Enjoy Worry–Free Life in 30 days” is for anyone who is facing problems in their everyday living and worrying about it – whether they are related to health, finances, relationships, business or emotions. Worrying about problems robs us of our happiness and peace. Are you one of those who wish to stop worrying and start living to the fullest (blissfully)? Then surely this book is for you to get freedom from your worries, get practical answers to all your problems and start enjoying your life to the fullest. “Enjoy Worry-Free Life in 30 days” is a step-by-step practical guide and a tried-and-tested roadmap that takes you through a 30-day spiritual journey to transform your personality into a healthy, happy, peaceful, stress-free and worry-free person. 30 simple and easy tips are given in the book to practice for 30 days. 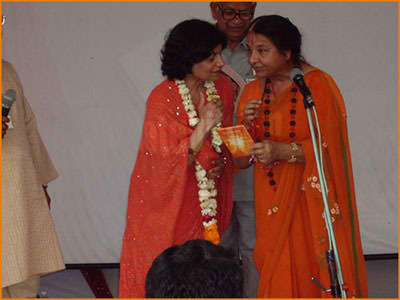 The focus of the book is to PRACTICE and APPLY the tips in daily life. A daily spiritual planer is given is on the back of the book to practice. After practicing one feels transformed and emotionally strengthened. The pocket book is very easy to read with graphics and colorful illustrations. Note: The proceeds generated by sale of this book are donated to charitable and social activities. 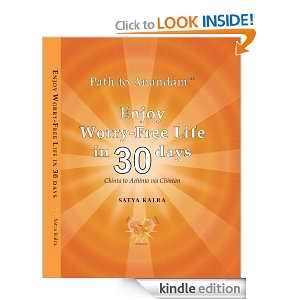 Check out what people are saying about “Enjoy Worry-Free Life in 30 Days” on Amazon.com: Read More..